Corgis popularity has risen greatly over the years with things like memes and events like Corgi Beach Day, but people who buy these dogs forget the work that comes with them and they are surrendered and left at animal shelters. Queens Best Stumpy Dog Rescue (QBSDR) is a Southern California based non-profit charity organization that focuses on rescuing and rehabilitating special needs corgis medically and through training. Rescuers work to get to know the dogs they rescue to ensure that when they are adopted, they are going to the right home. According to the QBSDR website, the primary reasons corgis are given up are due to health and behavior issues, and one common issue they have noticed is their aggression towards other dogs. This aggression has been linked to the dogs becoming territorial over their owners and household. The rescue organization focuses on saving corgis with disabilities, special needs, and seniors because they require the most attention, making their slogan “Saving low-riders, one bark at a time” very fitting. At QBSDR, they are provided with proper medical care and obedience training until a properly-matched family comes along. To adopt a corgi from QBSDR, one must go through a thorough adoption process, which requires submitting an application, a homecheck to confirm your home is a safe place for a pet, and a ‘meet ‘n greet’ with all the household members and any other pets to ensure they will all get along. 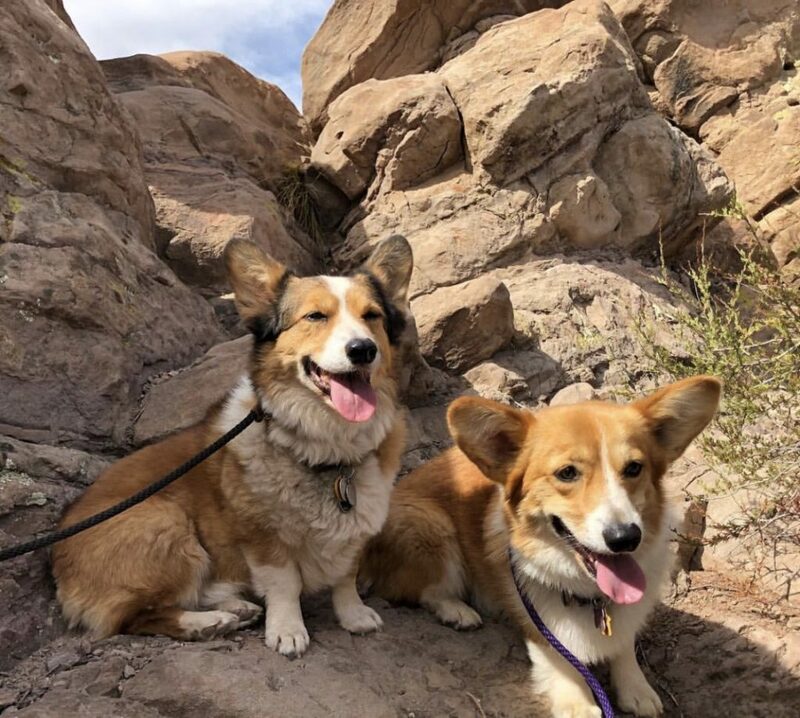 The organization has an extensive focus on obedience training because they have found that a majority of their rescued corgis, mainly the purebreds, have behavior issues that require management training. These trainings teach them polite manners, and proper direction on their position in the household. The rescue company also aims to educate potential corgi owners about what comes with their ownership, to prevent them from being given up and ending up in shelters again. Their website states that corgis are a herding breed, meaning they tend to be more vocal. While this means they are also excellent alarm dogs, they are also playful and appreciate time with their humans. Because of their territorial behavior, early socialization with other people and dogs helps to sustain an even tempered and confident corgi. Corgis also require engaging activities with their families like playing, obedience training and various exercises to prevent boredom and bad-behavior. Patience and time are needed to teach these dogs, but the results lead to a happy relationship between the human and their corgi, making the effort worth it. To find more information about corgis you can go to www.queensbeststumpydogrescue.org to read more. There are several different ways you can help the Queens Best Stumpy Dog Rescue, all of which are on their website under the “How to Help” tab. They always accept money donations via check or money order to the address on their website. They also accept supply donations like dog food, blankets, treats and many other dog accessories, and they also have an Amazon Wishlist containing items they need. One can also volunteer in different areas and parts of the QBSDR ranch. Some positions they have include dog walking, training, grooming, transporting dogs to things like vet appointments and much more.